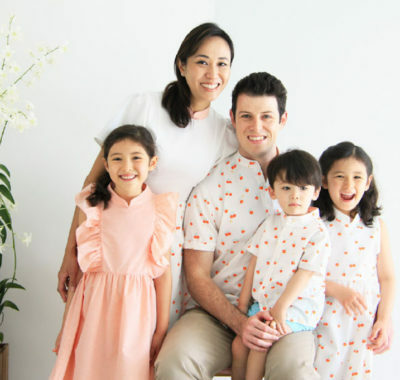 In 2018, we’re resolving to spend more quality time with our kids – not in malls, not poring over assessment books, not hunched over a phone or a tablet screen, but exploring lesser-traversed places in Singapore. In this article, we’ve curated 12 places (one for every month) which are great for family bonding sessions. It’s time to rediscover Singapore, and get in touch with nature! It doesn’t get more obscure than this: located within the Chinese Gardens, the Live Turtle and Tortoise Museum is home to over 800 turtles and tortoises across 50 different species. There’s an indoor menagerie and an outdoor area. Spot many exotic tortoises and turtles – the flattest tortoise is the Pancake Tortoise from Africa, the most dangerous turtle is the Alligator Snapping Turtle from America, and there’s even a six-legged tortoise which hails from Bangladesh. If your kids want to feed the turtles and tortoises, you may purchase long beans and cucumbers from the museum at a nominal fee. Also worth taking a look at is the museum’s collection of terrapin-shaped ceramics, dishes, and other knick-knacks. Tip! 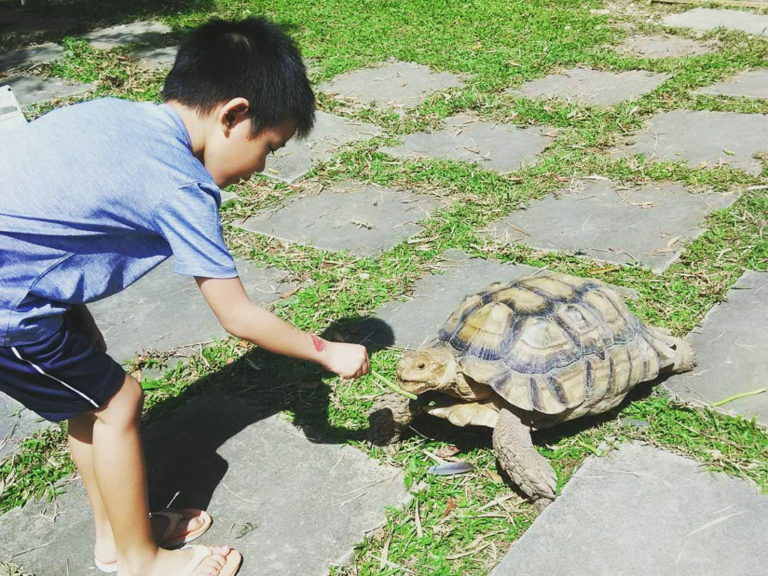 There are plenty of tortoises and turtles running free, so caution your kids to be careful and not step on them. Also, as the lease on this location will be expiring soon, do visit these fascinating creatures before they have to move out. 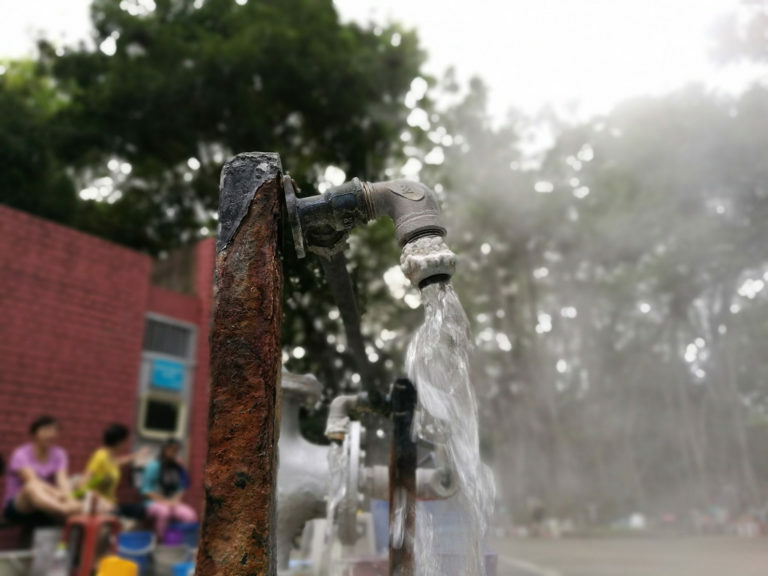 The one and only natural hot spring on mainland Singapore is located deep within the grounds of Sembawang Air Base. It’s unclear as to who should be credited with discovering the hot spring. The signboard at the entrance points to British soldier William Arthur Bates Goodall, but locals say that Chinese merchant Seah Eng Keong is the one who made the discovery. In any case, during World War II, this hot spring served as a thermal bathhouse for Japanese soldiers. In 1921, local food and beverage company F&N bought the land over from Seah Eng Keong. A few decades later, MINDEF stepped in to acquire the land. Today, there are three stations and taps which spew out hot water within the springs. Other than using the water from the hot spring for a therapeutic foot bath, some even boil eggs to eat! As NParks has plans to redevelop the spot into a 1.1ha park, do head there soon to see it in its rustic glory. Tip! As the water from the hot spring is boiling hot, this place is better suited for older children. Visiting hours are from 7am to 7pm daily, and you may borrow a bucket from the caretaker to collect some water for a foot bath. 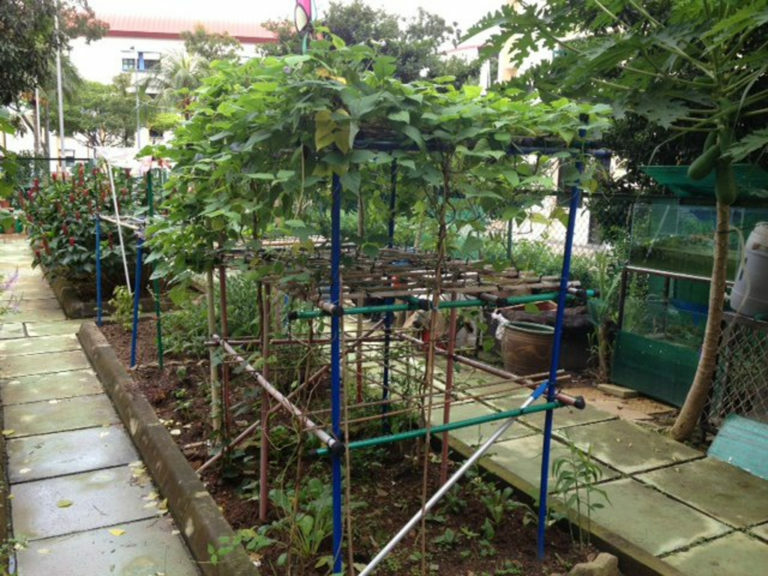 Not many people know this, but there are more than 1,300 community gardens in Singapore. In addition, there are five community garden trails to explore for those interested in nature and gardening. One of the most recently opened trails is the 6km Teck Ghee trail, which runs through a total of 12 community gardens. Planning an excursion with your kids is easy. Simply download the relevant NParks guide and you’ll be equipped with a map of the gardens along the trail. Information on each garden’s features, opening hours and gardeners’ contact information are also included. At Teck Ghee, you’ll find gardens growing a wide range of produce, including passionfruit, okra, banana, lettuce, Chinese kale and even grapes. Many gardeners will be happy to chat with you and share their stories – they’ll even give you tips on growing your own produce if you’re interested. Tip! If the trip to Teck Ghee Community Gardens Trail has inspired your kids − or you! − to cultivate green thumbs, email Community In Bloom to check if they have an allotment at one of their community gardens that you may rent. Are your kids aspiring athletes? 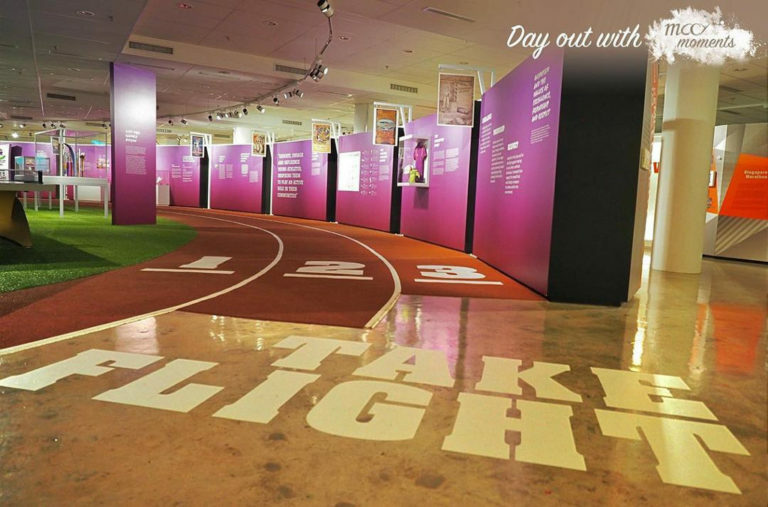 Then they’ll love the Singapore Sports Museum, which is dedicated to exhibiting Singapore’s sporting achievements and history. Your children may be familiar with international celebrity sportspeople such as David Beckham and Michael Jordan, but do they know that Singapore has its very own local sports legends (such as Tan Howe Liang, the first Singaporean to win an Olympic Games medal back in 1960)? Apart from exploring the Hall of Fame, and browsing through legendary football icon Fandi Ahmad’s collection of jerseys and footballs, your kids can also sneak a glimpse into the past by re-watching iconic football matches of the last few decades. Tip! Entry fees at the Singapore Sports Museum are waived for Singaporean Citizens and Permanent Residents. Be sure to bring a photo ID for verification. 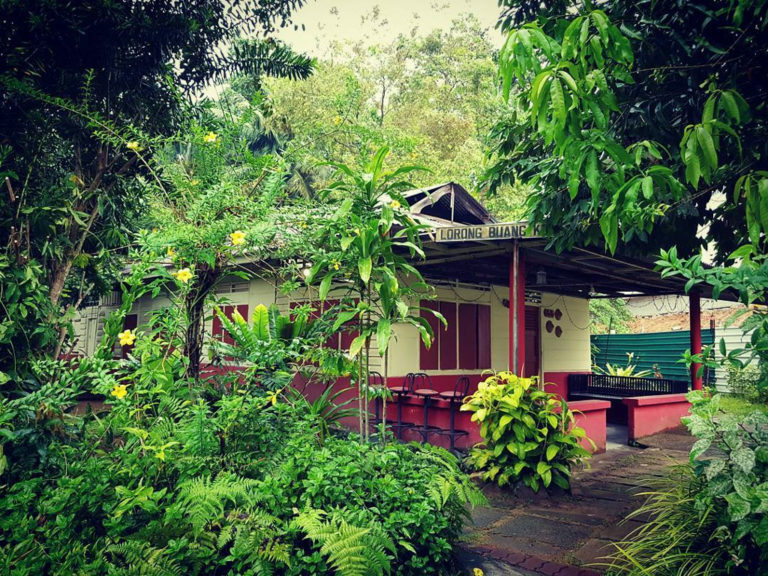 Here’s the backstory behind the last surviving kampung in Singapore, Kampong Lorong Buangkok. Back in 1956, traditional Chinese medicine seller Sng Tow Koon bought a plot of land just off Yio Chu Kang Road. He leased this land to Malay and Chinese families who built their houses there, and over time, a village developed. During its heyday, there were approximately 40 families living here. Today, there are 20-odd families who remain. The present landlady is Sng Mui Hong, Sng Tow Koon’s daughter. While her other three siblings (who co-own the land with her) have married and moved out, she refuses to do the same. For children who have only known − comparatively! − sterile apartments, a trip to Kampong Lorong Buangkok will definitely be an eye-opening experience. 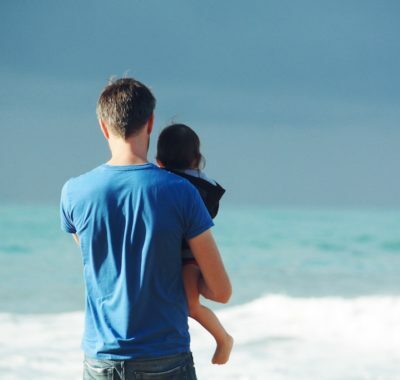 If your kids are old enough to understand the value of money, share with them how rent there costs only between $6.50 and $30 per month, and watch as their jaws drop. Tip! While the kampung folks are used to tourists and curious locals exploring the area, do remind your kids to be considerate. Walking onto someone’s porch and posing for pictures without permission will obviously be frowned upon. Also, bring sunscreen and insect repellent to ward off any mosquitoes. 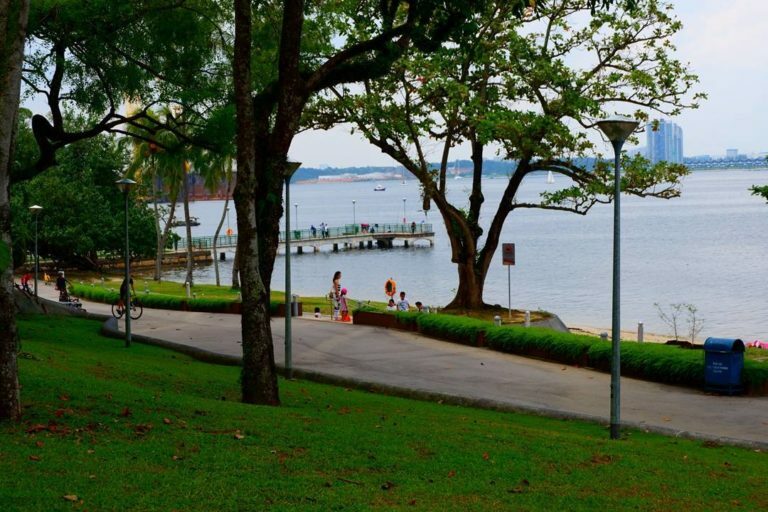 There’s plenty over at Sembawang Park to keep your kids entertained. Take them fishing on the jetty, build sandcastles with them on the beach, and then let them loose on the battleship-themed playground. The undulating park is also great for a spot of cycling or skate-skootering. When it’s time for lunch or dinner, go ahead and dine at Beaulieu House, located within the park. The charming black and white mansion which dates back to the 1920s. This old colonial building was previously a work space for the British Royal Navy, but it’s since been transformed into a seafood restaurant with breathtaking views. Tip! Beaulieu House is sometimes closed for wedding receptions and other private functions. If you’re hoping to check out the building and dine there, call ahead of time (6257 9234) to make sure that they’ll be open when you drop by. 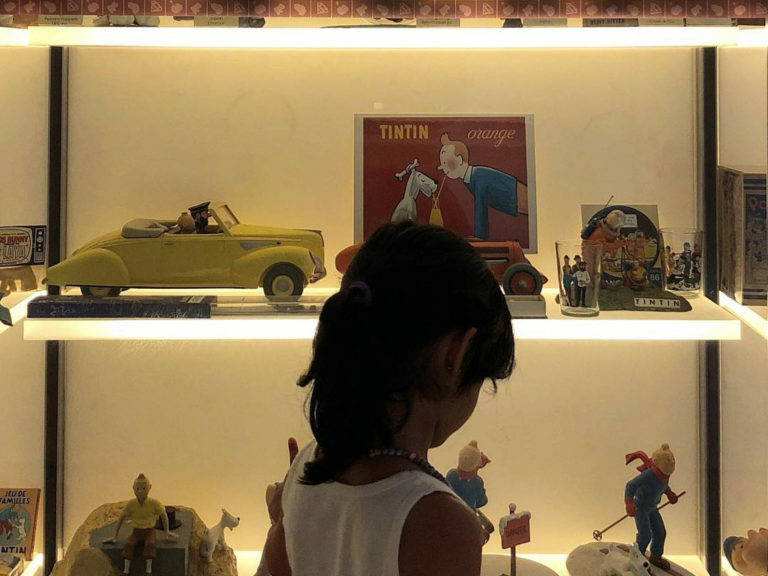 Reading textbooks might not be the most interesting way to learn about history, so for a more hands-on experience, bring your kids down to the Mint Museum of Toys. Here, they’ll be able to sift through a collection of over 50,000 toys from 40 countries. You can wander around at your own pace, or simply join a guided tour. The quirky museum organises such tours every Wednesday − just sign up for one online. You and your kids will learn how toys reflect cultural trends and even depict prominent historical events. Tip! 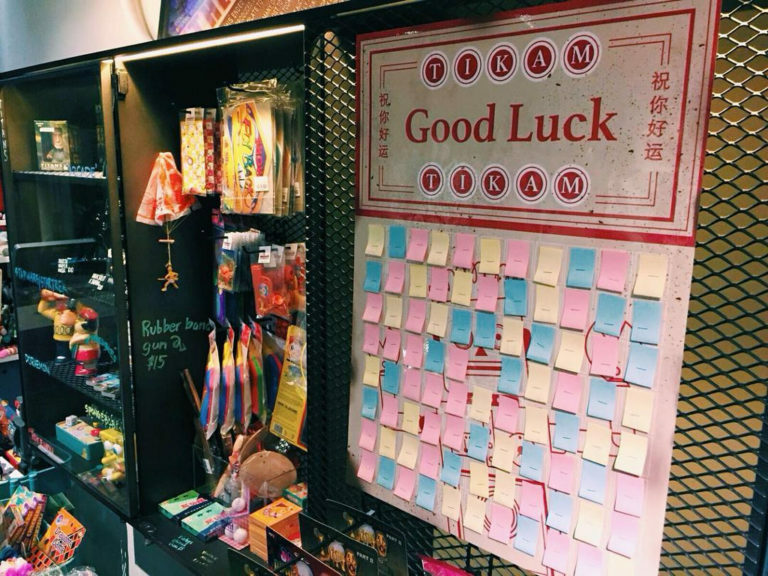 If you’re feeling peckish, check out Mint Museum of Toys’ gastropub – Mr Punch Public House – located in the basement. They also have a hidden rooftop bar! Just ask any of the friendly staff how to gain access. Is there anything more fun than fishing, and then having whatever you catch for dinner on a floating restaurant? We think not. 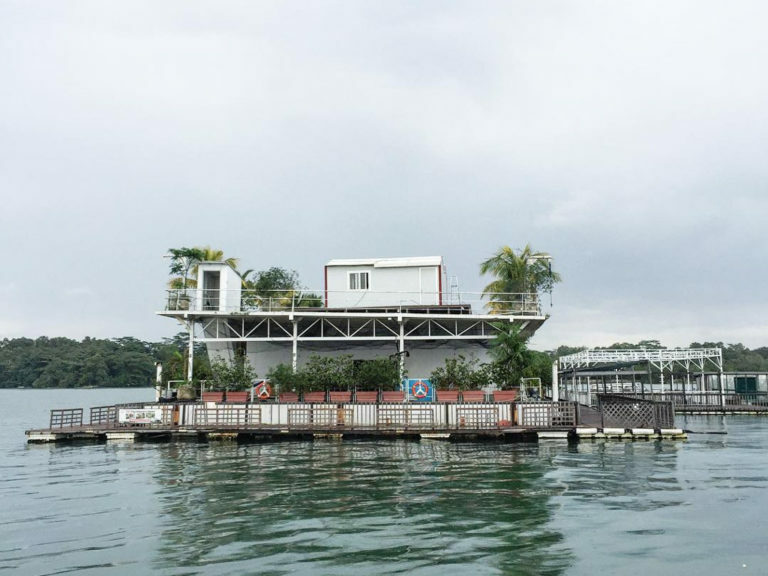 The adventure starts with a ride on a bumboat to Smith Marine, which is a floating seafood restaurant located just off Pulau Ubin. If you just want to order from the menu, that’s fine, but why deny your children the chance of fishing with a rod and bait in what Smith Marine calls their “sure-catch pond”? Because the folks at Smith Marine keep their ponds stocked with plenty of fish, your kids will be able to nab a fish or two within just five minutes. 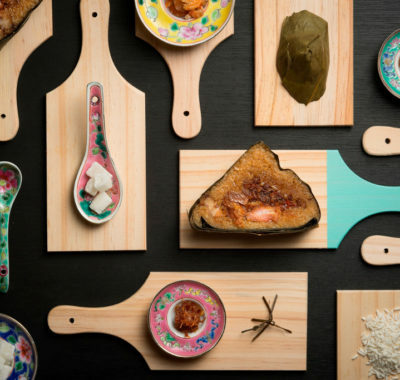 You can choose to bring home the fish, or have the kitchen crew cook it up any way you want. Tip! A two-way bumboat will set you back by $100, and it can seat up to 12 passengers. It’s the same price even if you have a smaller group, so we recommend inviting your nieces, nephews, and extended family or friends along to get maximum bang for your buck. Address Johor Straits (GPS coordinates: 01’23’52″N – 103’57’42″E). To book a ferry, Whatsapp or text 9792 7609 or email marketing@smithmarine.com.sg. 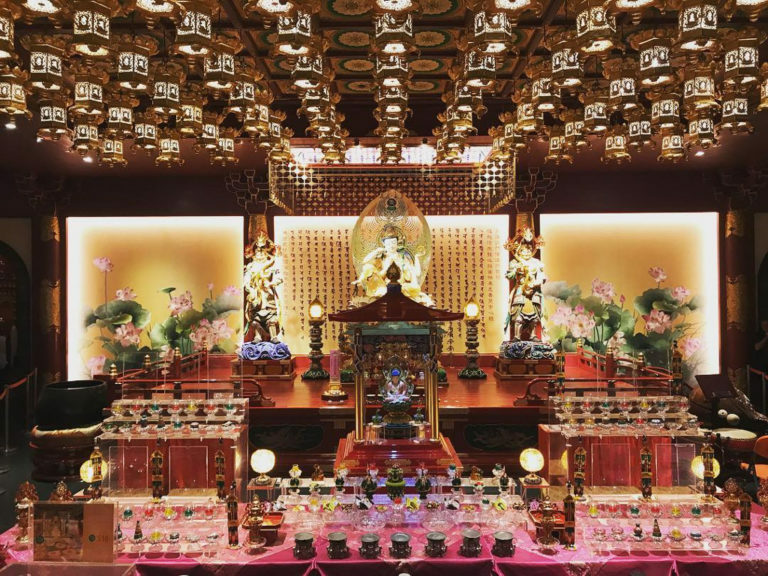 A whopping 75 million dollars went into the building of the Buddha Tooth Relic Temple and Museum – and it was all to honour a tooth. Well, this isn’t any old tooth. Said to be the left canine tooth of Buddha himself, it was recovered in 1980 from a collapsed stupa in Myanmar. Tooth relic aside, this highly ornate temple features multiple floors of Buddha statues. There’s tons to explore, and most of it is pretty impressive. Located within the museum, an Eminent Sangha theatre hosts cultural performances, talks and film screenings. For some fresh air, head up to the museum’s roof garden, where you’ll find a pagoda and Buddha prayer wheel. Tip! Visitors are to be attired appropriately – this means no bare backs, off-shoulders, miniskirts or shorts. Although little boys in shorts are probably ok.
October – when temperatures are more forgiving – is the perfect time to take a day trip to one of Singapore’s offshore islands. 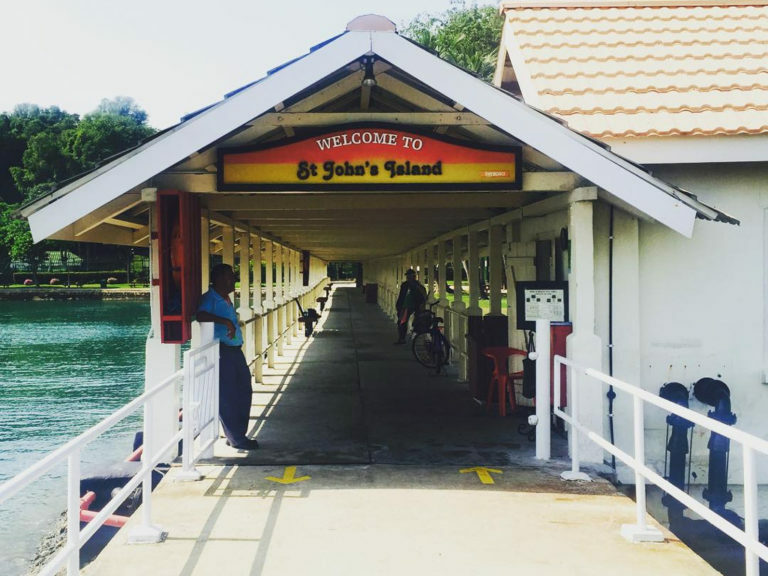 We recommend the beautiful St John’s Island, which used to be a quarantine centre for ill immigrants who were entering Singapore. To get there, make your way to Marina South Pier and purchase ferry tickets from Singapore Island Cruise. The ferry ride takes just 30 minutes. Who knew it was so easy to escape from the hustle and bustle of city life? Once you’re on the island, check out its mangroves, coastal plants and coral reefs. If you want this to be an educational outing for your kids, take them to the Tropical Marine Science Institute, a research facility that aims to educate the public on the marine sciences. If a beach day is something that’s more up your alley, take the paved bridge to Lazarus Island, where you’ll find plenty of tranquil beaches and lagoons. Tip! Food and drinks are not available on the island, so be sure you have all your supplies before setting off from Marina South Pier. If you’d like to stay on the island overnight, you may book a holiday bungalow, which comes furnished with cooking facilities. 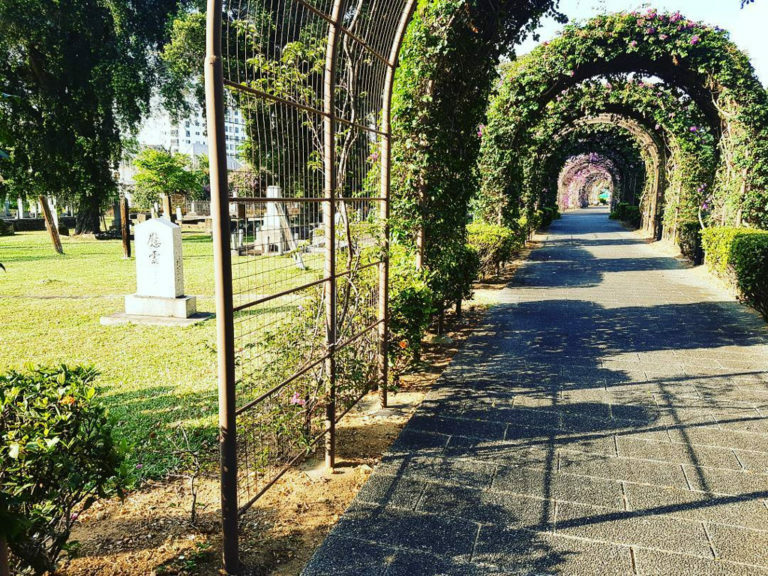 Depending on how you look at it, visiting a cemetery park with your kids may be a tad morbid, but it could help satisfy their curiosity about the Japanese occupation (which they’ll learn about in school). You also get to introduce them to a different side of Singapore while you’re at it. Plus it’s really quite picturesque there! Managed by the Japanese Association, the cemetery was established in 1891, before which it was a rubber plantation owned by three brothel owners. After the cemetery was built, the seven-acre plot of land was used to bury the bodies of merchants, prostitutes and soldiers. 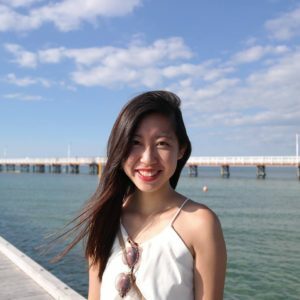 These include Japanese merchants and businessmen who started trading with Singapore prior to WWII, as well as soldiers who committed suicide or were executed for war crimes after the Japanese surrender in 1946. Tip! If your children are the rowdy sort, let them know that it’s not appropriate to play, shout or climb among the tombstones. As the temperatures start to cool, pay a visit to Bukit Batok Town Park, and have a picnic with your kids. This place originally housed a granite quarry which was in use up until the 1980s. However, after realising that the extraction of granite could threaten the ecology of the area, the government closed down the quarries. We then began purchasing granite from Indonesia instead. As rainwater filled up the abandoned quarry, it quickly turned into a picturesque mini lake. Inspired, HDB converted the quarry into a park, and placed granite blocks on the retaining walls. 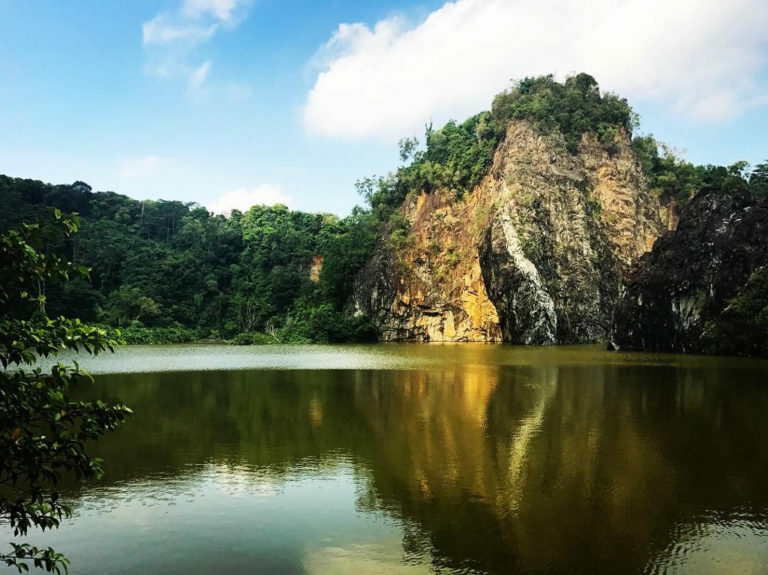 Seeing as how the towering cliffs of granite rocks resemble the mountains in Guilin, China, Bukit Batok Town Park came to be known among locals as Little Guilin! Tip! Don’t worry about arming yourself with drinks for hydration. You can get these from the shops and food courts in the nearby housing estate. As Bukit Batok Town Park is so scenic, you’ll probably want to snap a few pictures, so make sure your cell phone is fully charged up and ready for a full day’s usage! Who said there’s nothing to do in Singapore except go to the mall and watch movies? With our list of off-the-beaten-track places in Singapore to explore with your kids, you’re all set for the rest of the year!